Clear lines and a simple design are the words to describe the Rottner Stainless Steel Letterbox Brighton. The spacious mailbox in brushed stainless steel impresses with its simple but nevertheless special design. The wide border of it's body and the horizontal flap with a drip nose to protect your post give it a special appearance. In order to be able to mount your mailbox in a professional manner, you will find the appropriate mounting material with a drilling template in your delivery. 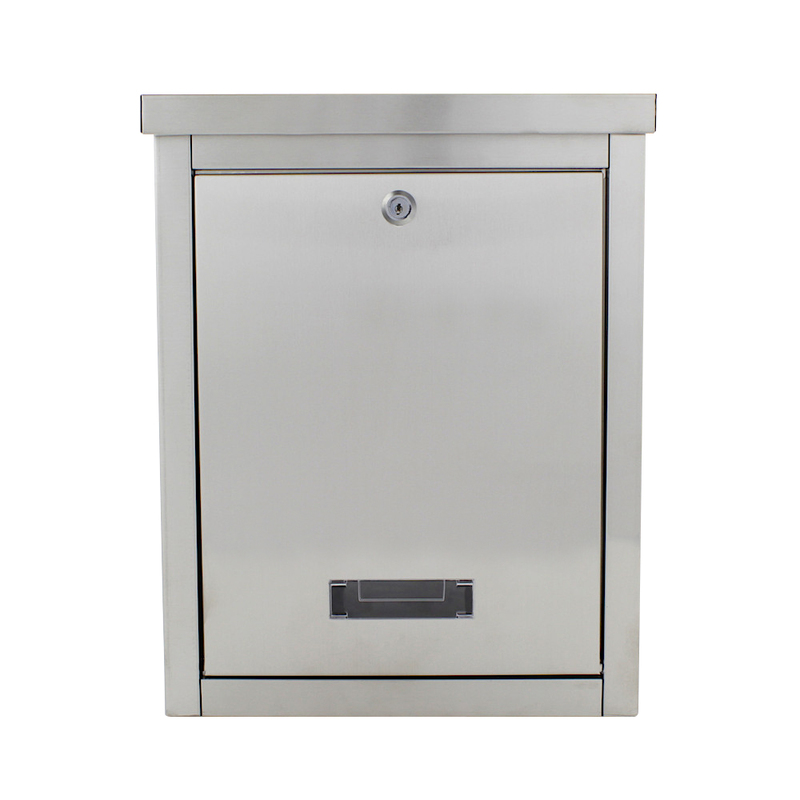 The Rottner Mail Box Brighton is made from brushed stainless steel and impresses with it's clean lines and simple design. It's large body also has a small viewing window and a name tag holder to personalise your letterbox.